"We have an amazing base of trust to launch our output into the next phase to help Officeworks remain competitive in an increasingly challenging market. Officeworks national marketing manager Karl Winther adds that the duration of the relationship was the key to the success of recent campaigns, including the 'Make Bigger Things Happen' launch in February this year. “As we enter a new stage for our marketing we wanted to ensure we had the right media-agency partner to deliver to our goals," Winther says. 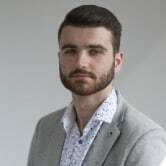 "Over the past 10 years and through the review process, Initiative have proven themselves to be genuine partners and have put in place a team focused on delivering strong commercial outcomes." The retention ads to a strong year for Initiative, which was appointed to the media panel for the Government of Western Australia alongside Carat, while its Sydney office won accounts including Revlon, Under Armour and John Cootes. 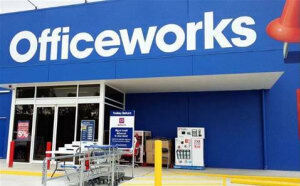 Initiative Melbourne has retained the media contract for Officeworks following a closed review. The win sees Initiative continue to manage the national planning and buying of one of Australia's largest retailers. Since Initiative first won the account in 2008, Officeworks has grown its sales from $1.3bn to $2.1bn. “We treasure our long-term relationships and it was a privilege to be able to put forward our future-facing vision for Officeworks," Initiative Melbourne MD Shaun Briggs says.